Hi there and HAPPY NEW YEAR!!!!! I hope your year is starting off well. Ours is good so far, I just can't believe that it is 2015 already. Seems like the days are just flying by. 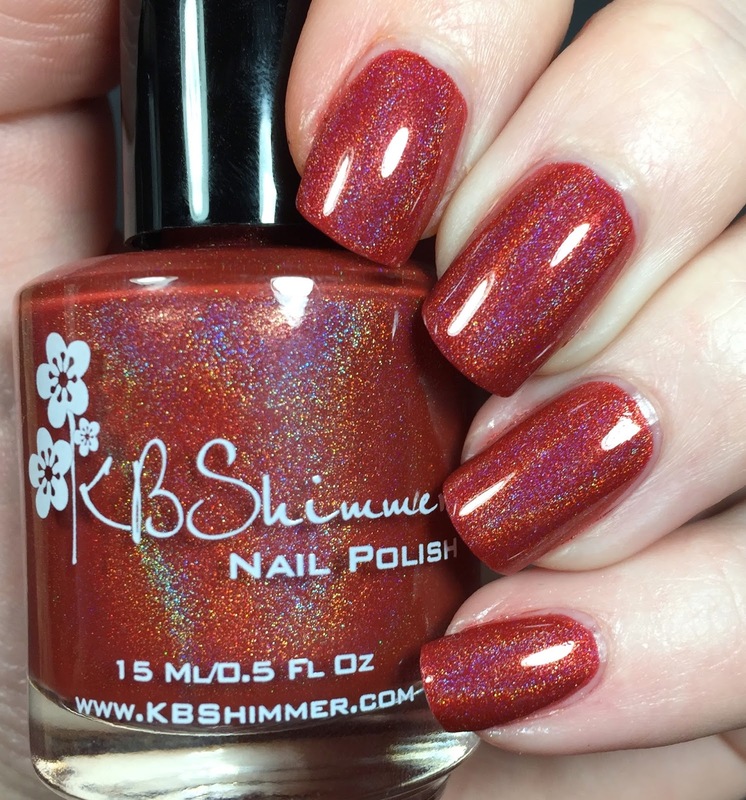 Today's post features a polish that I thought I already done a review on. I looked back and saw that it wasn't up and I had to fix that ASAP!!! We all know that the new Pantone Color Of The Year is Marsala. I, for one, am so super happy about this. Marsala lippies have always been my jam. I can't wait to to see what marsala goodies come out during the year. Onto the polish!!!! 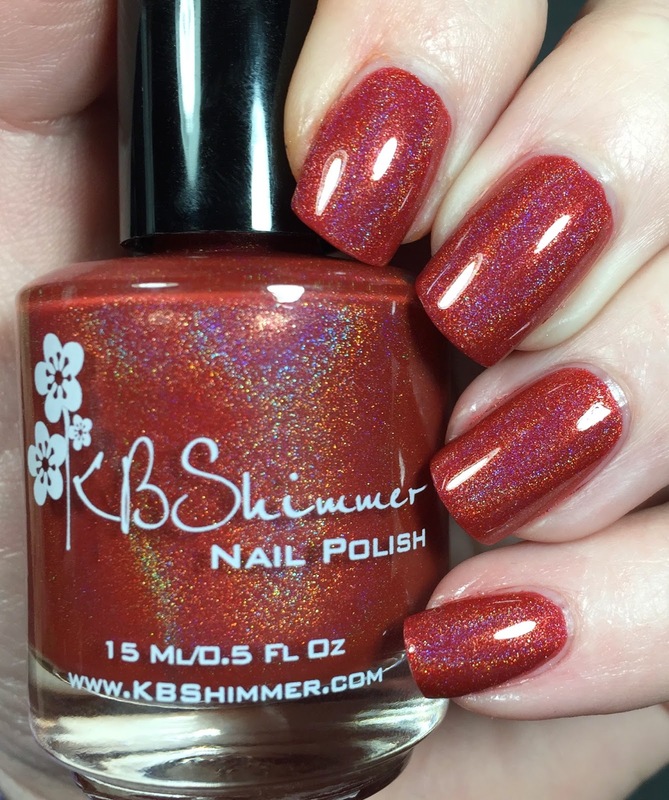 KBShimmer has released a most perfect polish in line with the color of the year. It's called Men Are From Mars-ala. 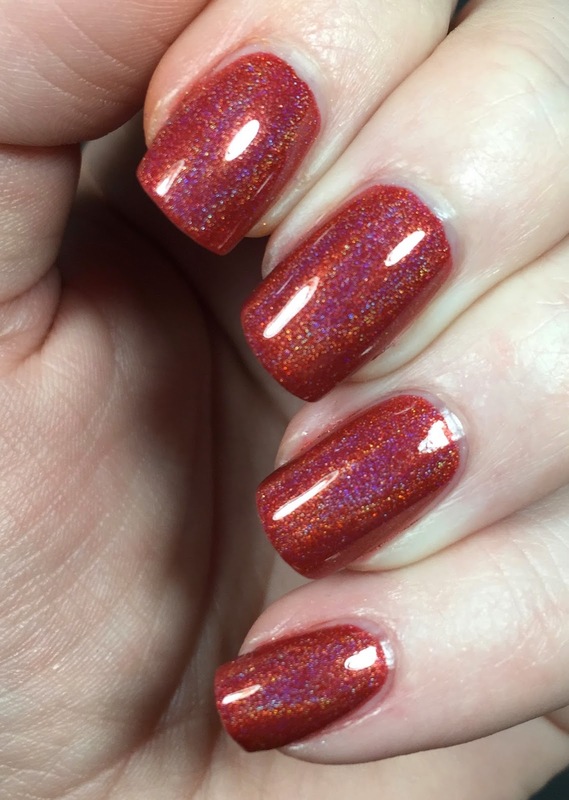 It is, you guessed it, a marsala colored holographic polish that is absolutely perfect in two coats. Formula was perfect on this polish, which is typical for the brand. I don't know what type of sorcery they use, but all of their polishes are awesome. As I just mentioned, this is two coats of Men Are From Mars-ala and I topped it with Glossy Glam. GAH!! I love it so much. What is your opinion of the color of the year and this polish? I can't wait to show you what's next! 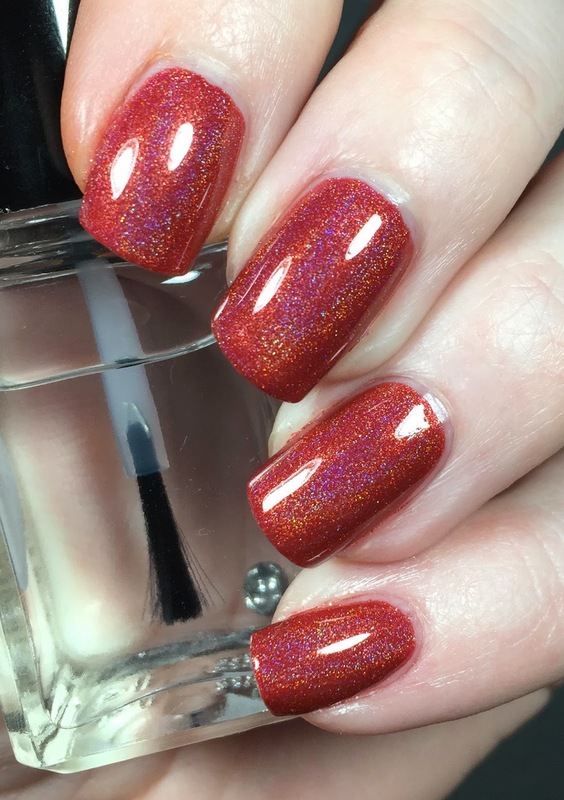 Gorgeous color for a holo polish this! I love how this looks on you!